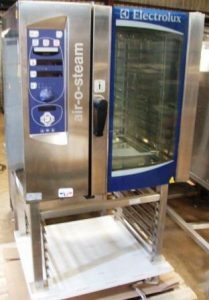 In superb condition and immaculately maintained, this high volume combi oven provides versatile, state of the art technology to make your life easier in the kitchen. 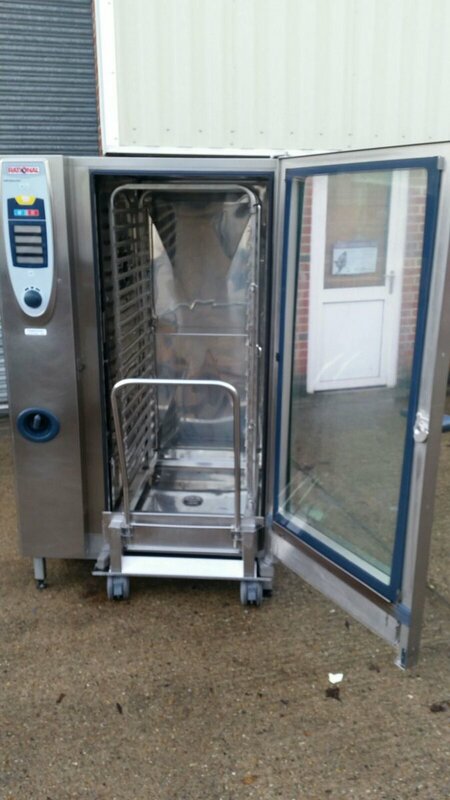 Boasting Rational’s intelligent combi technology, this large capacity oven is ideal for event venues for banquets and large batch cooking, and produces consistent results each time. 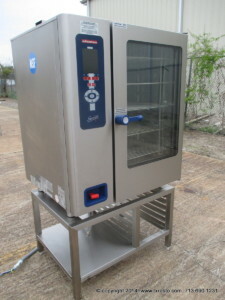 Complete with a roll-in trolley with a 40 x 1/1 AND 20 x 2/1 Gastronorm tray capacity. 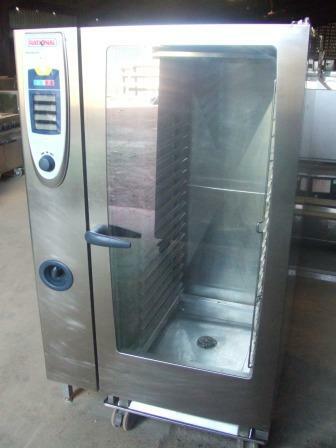 This oven represents superb value for money given they are circa £15k new.